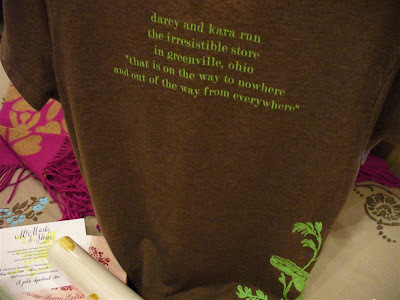 via Melissa at The Inspired Room's blog! 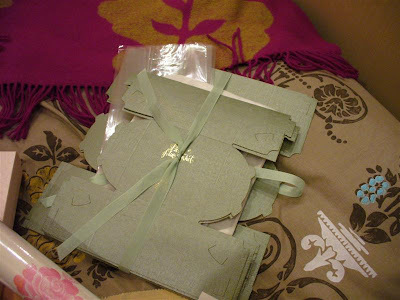 We love to wrap------it's the details in wrapping that make for a memorable gift from the outside to the inside! 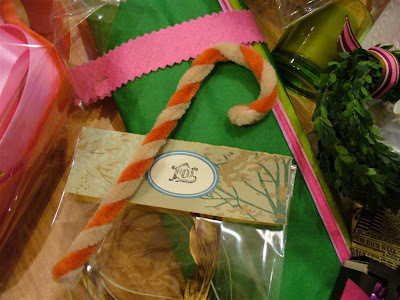 We want to show you simple ideas, inexpensive & even being "green" with recycling, to make an "oh, I can't open that gift...it's wrapped so yummy"! The tutorial debuts this coming Monday , December 3rd! 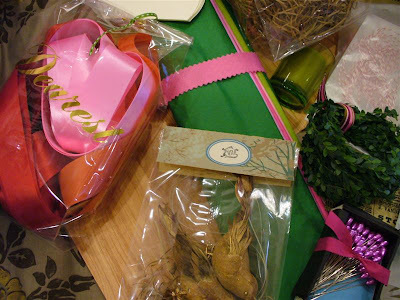 Get your wrapping stations ready, make it pretty & get inspired. Stay in your jammies, pour coffee or tea in your fav mug. 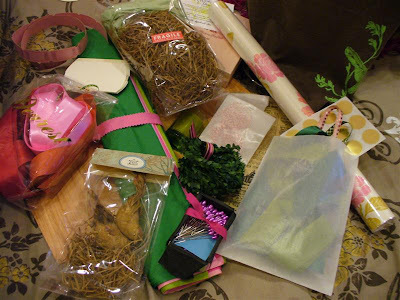 Better yet get your girlfriends together and wrap your gifts together, sharing supplies is soooo much fun! Get your shopping done & wrap on Monday with us! 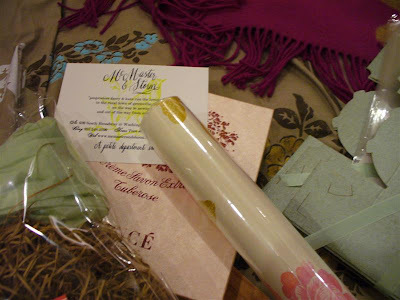 Here are pictures of our "gift wrapping kit" compliments of McMaster & Storm! 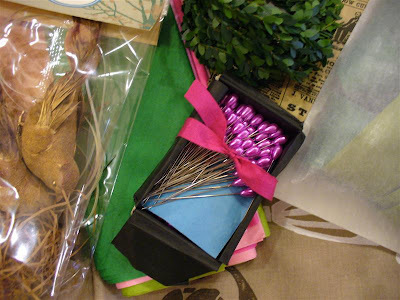 A recipient will receive this "gift" containing our favorite things to wrap with. Enter to win at The Inspired Rooms blog! Kaari Meng of French General will be sharing photos as well to inspire you. We love her things and sell some of them at our store. 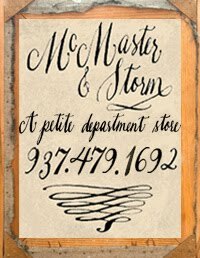 Her store is worth a visit when in Southern California! Now Darcy & I will hand it over to Melissa , our gracious host. I can't wait Kara! 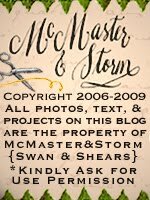 I hope I can figure out where to find it on Melissa's blog. I've had some difficulty there before. I'd love to win the gift, but I'm one of those who never seems to win!! sigh!! I've been having fun wrapping so far and still have more to do. It will be fun to have some new ideas to play with! It all sounds like fun! I need all the wrapping help I can get! Thank you so much for the snow globe!! (and the sweet pins) I love it!! How much fun! I will be sure to tune in on the 3rd. Hope you had a wonderful Thanksgiving! melissa sent me over to see your site. your store looks so pretty...i wish i lived closer...kansas is too far i think. 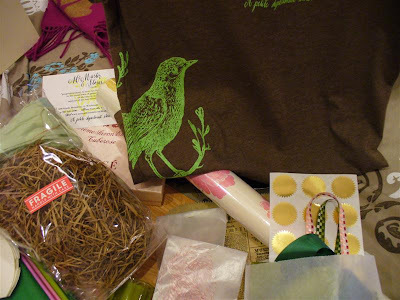 i love the green bird t-shirt. looking forward to monday. and i promise to stay in my jammies and drink coffee while i read. Looks great! Happy to find your blog. I found you through Melissa's Inspired Room. I very much enjoyed your gift wrapping tuturials, thank you!! I am interested in ordering a few things from you, but can not find an email link. Thank you so much, hopefully one day I will get to vist your store which looks just wonderful! you girls are the "masters" of gift wrap....thank you for inspiring us to give our customers a beautiful gift from our store. Just found your blog...LOVE IT! 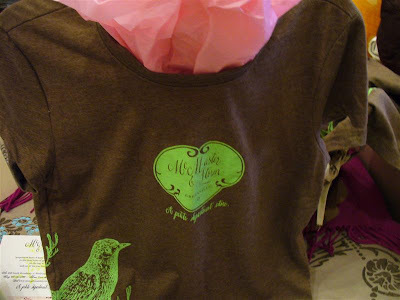 How can I get one of those cute brown/green bird tshirts?